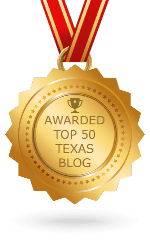 I wrapped up 2015 visiting a good number of new spots in the Texas Hill Country. The first major stop was Old Man Scary Cellars in San Saba. 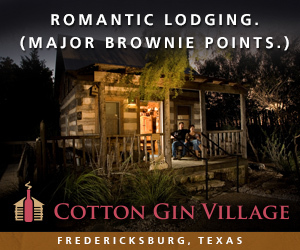 Its addition on the main street in San Saba adds a new dimension to Texas Wine in this growing city. Wedding Oak Winery set-up on the main street in San Saba in 2012. 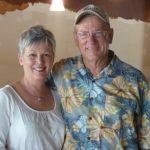 Owners Mike and Lynn McHenry quickly immersed themselves into the larger Texas wine and Hill Country community. Since then, they continue their work to build-up their home in San Saba, as well as the vineyards and wineries found across the state. 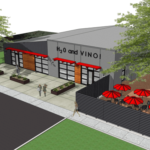 Their newest venture–a wine incubator–lead to a partnership with some of the industry’s newest members, Gabe and Carrie Hisel (and family). 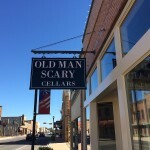 With the help of the established winery, Old Man Scary Cellars opened their doors in Fall 2015. During a tasting, I spent time getting to know Emily Hisel, daughter and tasting room manager, and found out about the family’s passions. Wine means a lot. They have their own vineyard; 2015 saw the first harvest of some white grapes which will make their way into a white blend. 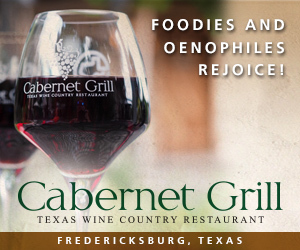 And despite its difficulty here in Texas, a love for Cabernet Sauvignon led to its addition to the vineyard (they are realistic that it may be five years before any grapes of quality come from the vines). Other more Texas-friendly grapes are not left out. During our tasting, a young Dolcetto from Texas fruit stood out. 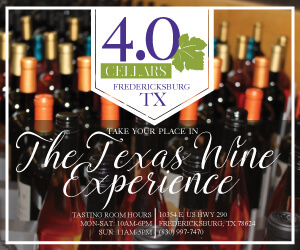 Like many newer wineries, the wines are not 100% Texas. Though the family formed great contacts among their longtime neighbors, getting grapes can be tricky. 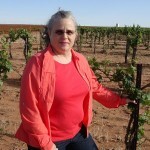 The current portfolio does have Texas grapes, from 100% to a small percentage; however, out-of-state grapes make up some wines as well. As we tasted, we were told where the grapes came from; if that meant a Texas vineyard, we sometimes got specifics on location also. 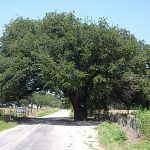 Wedding Oak and the McHenrys play a crucial role in the new winery. 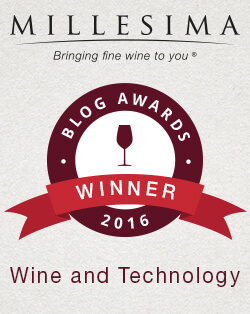 The wines come from Wedding Oak winemaker Penny Adams and are based on the specifications of the Hisel’s (for more on the wines, check out an earlier Texas Wine Lover post). 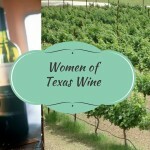 Of the first five releases, she made four; the other, a Cabernet Sauvignon from California grapes, was made at Texas Custom Wine Works. 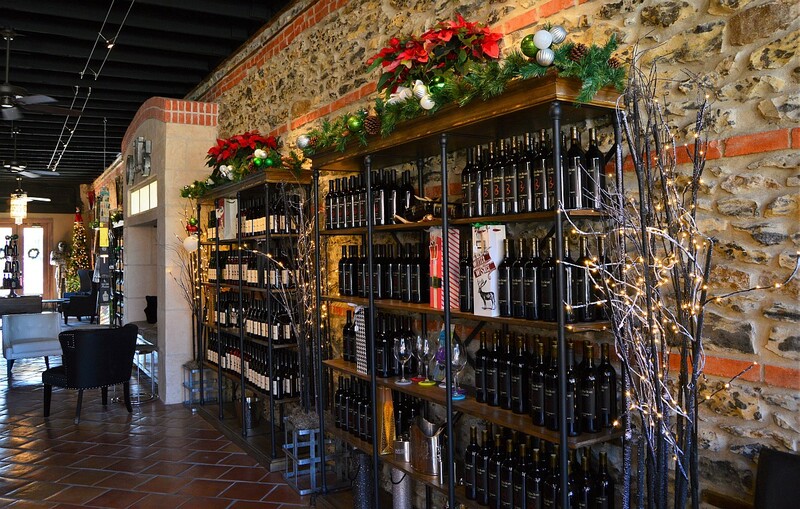 Even some of the feel of the tasting room harkens back to Wedding Oak. However, this is not a new Wedding Oak Winery. When I walked in the first time, I first noticed the similarity between this new project and the winery next door. 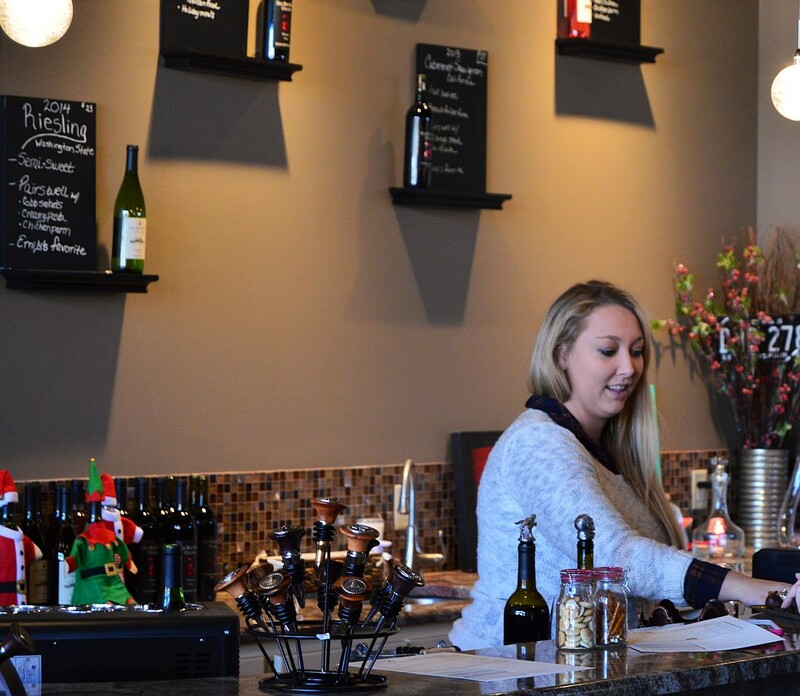 The tasting room exudes a relaxed and modern sophistication, much like its neighbor. 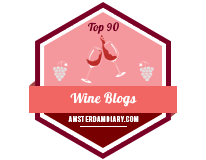 We found ourselves very welcome and enjoyed a friendly and educational tasting (always a good thing). However, the winery deviates from expectations to create a new experience. 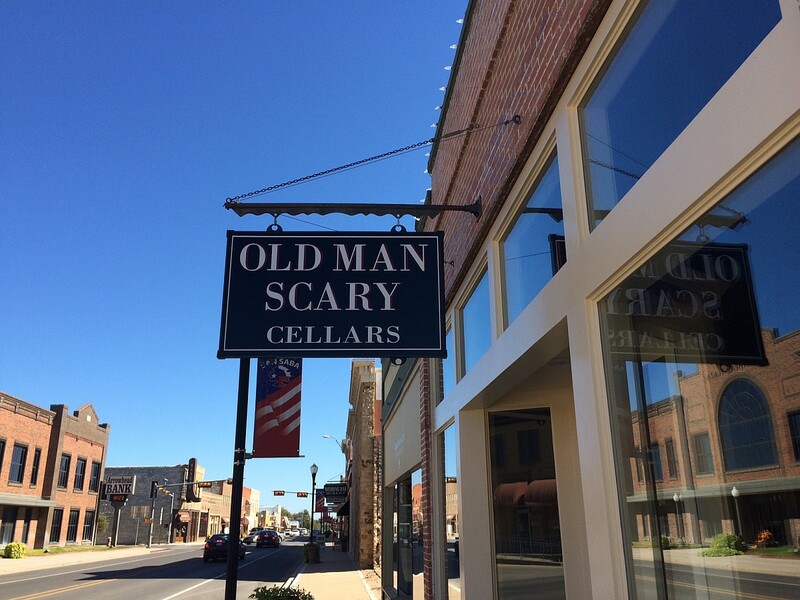 The first indication comes from the name: Old Man Scary Cellars. During our tasting, Emily regaled us with a story of murder and hauntings that inspired the name. Skulls and similar spooky items subtly decorate the space. For the holidays, one such skull dressed up. 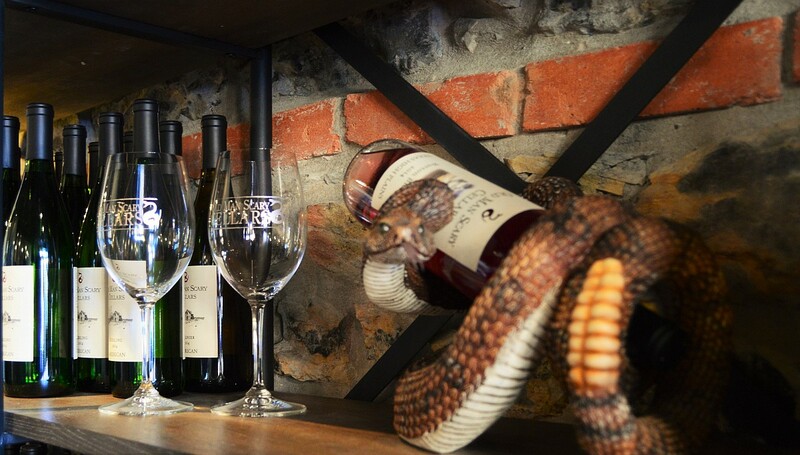 Besides the name, snakes dominate much of the tasting room. But why? The ever-present rattlesnake derives from the family vineyard: Rattlesnake Road Vineyard. 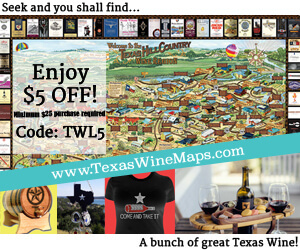 The vineyard’s namesake adorns the bottles of many of their wines, t-shirts, glasses, flasks, and other items. And on a shelf just where it seems no one will look, a rattlesnake cradles a bottle of wine. Even one of the wines, The Button Blush, alludes to the rattlesnake’s button. Then there is the art. A family member recently took up painting and offered the work for decoration. The bright colors and sharp lines match with the tasting room’s modern aesthetic, but the subject matter seemed a bit out of the ordinary (in the best possible way). So often, wineries showcase local art, much of which celebrates wine and nature. However, the art along the long wall of Old Man Scary Cellars celebrates something else entirely. From the back corner, Darth Maul watches over the tasting room. He is joined by a cast of other Star Wars figures (like BB-8 from The Force Awakens) and scenes (the escape from the asteroid in Empire Strikes Back and an incomplete Death Star from Return of the Jedi). Of the Star Wars canvases, the Storm Trooper stands out most. 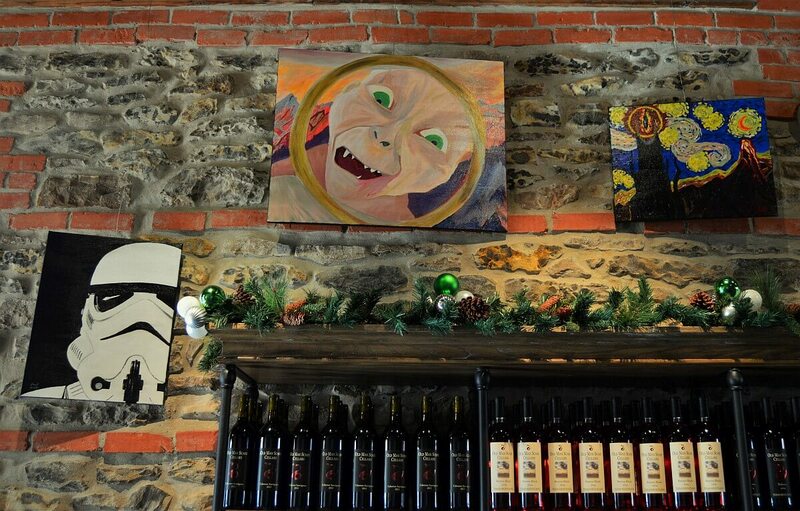 Not only does Star Wars adorn the walls of the tasting room, other geeky properties share the space. Nearby, Gollum reaches one last time for the one ring. And the eye of Sauron watches each guest taste wines and explore the hidden touches found within the space. Not only does this winery subvert design expectations but also product ones too. A growing number of wineries offer the Menagerie pourers, like Wedding Oak and William Chris Vineyards. These beautifully wrought figures tend toward the more traditional side, offering an array of animals like deer and elk, cattle, and horses (though I have seen the interesting elephant now and again). However, Old Man Scary Cellars offers a wider selection that include a gargoyle, a zombie, a dragon, and even an octopus (cue H.P. Lovecraft). And when we visited, that was just the current selection of these more unique offerings; they will carry even more of the less standard options. Such otherworldly fun appears on other more mundane items in the tasting room, like towels. All of these touches create a well-defined voice for Old Man Scary Cellars. 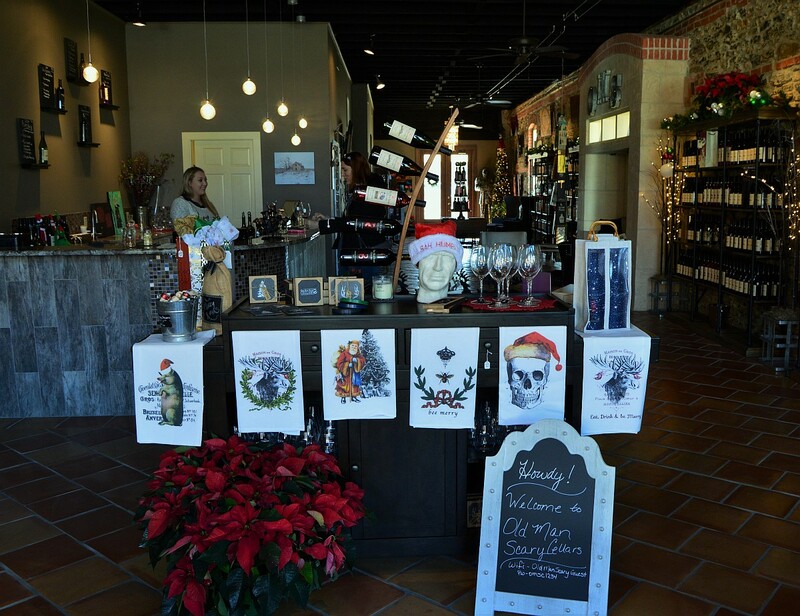 And considering the name, it is not a surprise that there is an appreciation for all things unusual: a theme found throughout every aspect of the winery. But along with wine and the fun, the family is passionate about music. Carolyn Hisel, another of the Hisel family daughter, studies music and performs at the tasting room. Music fills the tasting room. This can be a bad thing; however, it is quiet enough to have a clear conversation and yet just loud enough to enjoy. The music adds another dimension to the tasting room. Before long, I wanted to curl up with a glass of wine and read. Music got us back to another passion we share with the family: sci-fi and fantasy. We had a winding conversation about Led Zepplin’s “When the Levee Breaks”; this led to a more thorough discussion of fantasy literature like The Lord of the Rings. Emily grew more animated as we switched to her favorite, Game of Thrones. When studying at Texas A&M, she enjoyed the extensive collection of books and other George R.R. Martin memorabilia housed at the library (along with many of the other sci-fi and fantasy collections). 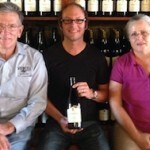 One thing that makes Texas wineries special is that they each have their own voice. During a single day, I can enjoy a multitude of different wines and tasting experiences. 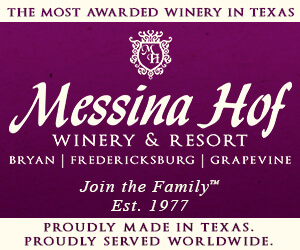 The addition of one of the newest Texas wineries brings yet another. Fantastical experiences await visitors to Old Man Scary Cellars.